did my "toy rounds" to the big 3 big box stores. saw a gamorrean soldier but didnt get it. also saw a gizmo from neca but skipped it. Last edited by Tomax; 02-15-2019 at 08:19 PM.. Does anyone want a lego-compatible night light? Went to look for Studio Series leader Megatron last night. Found him! Then noticed Bee movie SS Prime & Rampage. Puts Megatron back. Only had $60 to blow. my local walgreens. Not interested in these but i did see Black knight and he looks real good, will get him later. Last edited by Vamp; 03-22-2019 at 05:58 PM.. 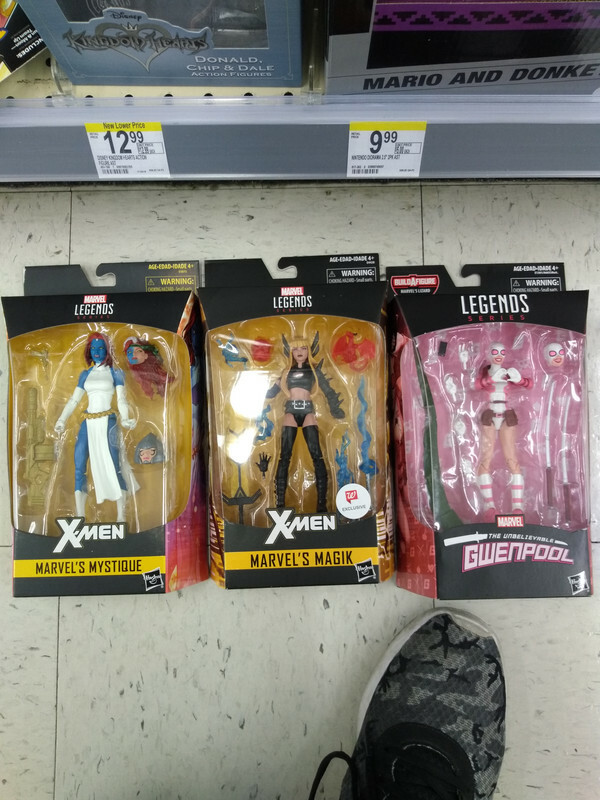 I have been hitting some Walgreens and have yet to find Mystique! Last edited by Vamp; 04-20-2019 at 10:17 AM..